When you feel chronic pain, it is because your nerves are sending pain signals to your brain. BurstDR™ stimulation works to reduce pain by altering the pain signals as they travel to the brain. 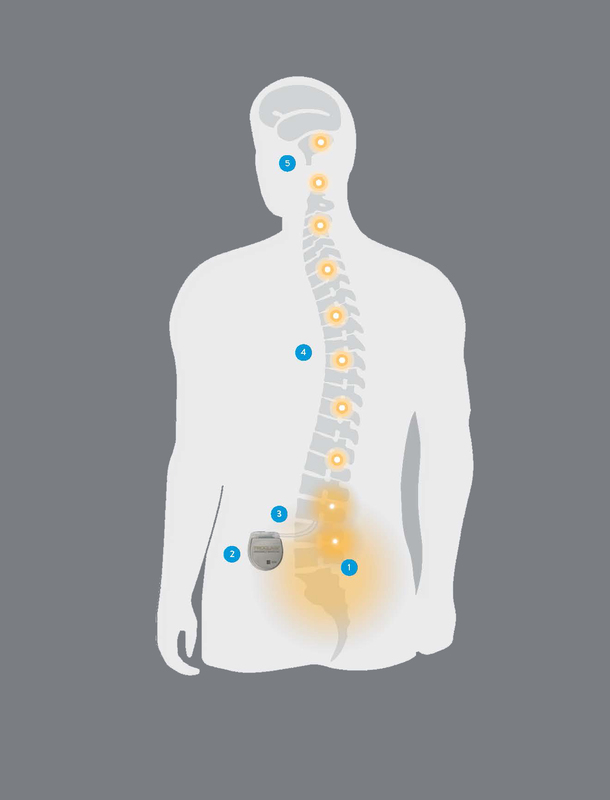 One of the benefits of neurostimulation is that you can try BurstDR™ stimulation using a temporary system before committing to an implanted system. Our systems allow you to manage your therapy wirelessly using an app on an Apple™ iPod touch™ mobile digital device. Among patients studied BURSTDR Stimulation was also shown to improve patients’ lives by increasing patients’ ability to perform everyday activities & reducing patients’ emotional suffering associated with pain.